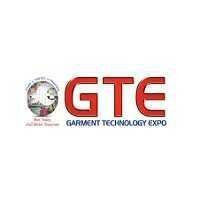 "South Asia's Largest Garmenting Technology Expo"
The Garment Technology Expo is a must attend for all textile designers and fashion designers as the event exhibits purest and unique raw materials creations from different parts of the world. It features a display of Hangers, Woven Tapes, Woven & Printed Labels, Plotter Papers, Dyes & Chemicals, All kinds of Machine Parts & Accessories and Raw Materials, Software Solutions & Consultancy, and much more. GMRealy it was very good event. Hear i highlight you one your staff member of ragistration desk member who cheated me, at between 3-4pm , when i go there for purchase pendrive of GET extrubutor' who participant in that event. then i ask how much rate of it, he said Rs 450/- . I shaid when i come in morning sesson than its rate was Rs.400/- and now how it increse. Then that boy said i am new i dont know., but agree for Rs.400/-for sale, I was gave Rs.500 currncy note than he not return me left Rs.100/- and say no change have.me argue your have big staff hear any one have it. He not agree and said give your a/c no. of paytm or googal pay . I was give my a/c no. He said whithin half an hour your Rs.100 will depisit in account due to propper person no avalable, when he come then he do process if it.then i put him trust go out for my hotel. yet no deposite that money in account i was cheated from that guy. What are you punise him ? no proper system for registration, need to upgrade and very bad for parking, no parking space and spend 2 hours just for parking, this is really supidity for organisor. whole layout was poorly constructed . no proper sign board direction for washroom/food/ no customer service booth. The exhibitors of Garment Technology Expo 2015 will include the following, TEXTILE PRINTING, a. Digital, Screen and Transfer Printing Machines, ACCESSORIES, a. Zippers, b. Buttons, c. Sewing and Embroidery Threads, d. Needles, Interlining, e. Padding, f. Lingerie, g. Accessories, h. Tapes, i. Elastics, j. Hangers, k. Narrow Woven Tapes, l. Woven and Printed Labels, m. Plotter Papers, EMBROIDERY, a. Industrial, b. Multi Head, c. Single Head and Home Machines, d. Sequence Devices, FABRICS, a. Digital, Screen and Transfer Printing Machines, SEWING, a. Computerised, b. Industrial, c. Over lock, d. Flat Lock Machines, e. Spares, QUILTING MACHINES, a. Single and Multi head Quilting Machines, b. Mattress Making Machines, CAD/CAM, a. Designing, b. Cutting Room and all related Software, KNITTING, a. Circular, b. Flat, c. Socks, d. Collar Machines, FINISHING, a. Compacting, b. Steam Ironing Machines, c. Conveyor Systems, d. Boilers, QUILTING MACHINES, c. Single and Multi head Quilting Machines, d. Mattress Making Machines.